According to the Bureau of Labor Statistics, criminal justice-related jobs are predicted to grow by seven percent from 2016 to 2026. Our 30-credit Master of Arts in Criminal Justice will prepare you to become an advanced practitioner in a wide spectrum of criminal justice careers. Many agencies also offer criminal justice related positions for planners, researchers, data analysts, and others with exceptional skills in statistics and computer science. I use what I learned every day. 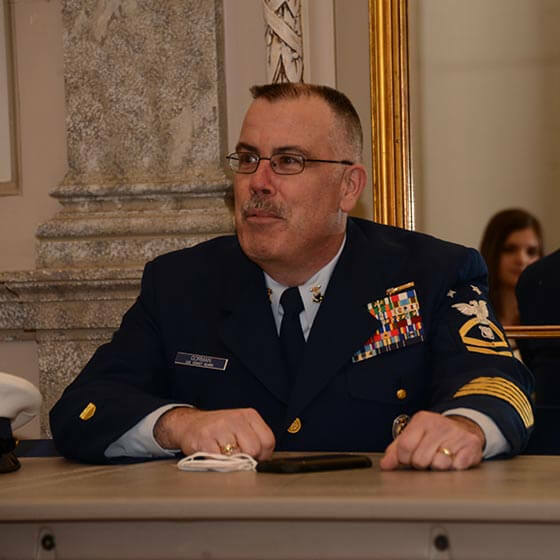 My capstone course paper, ‘Current State of Morale & Readiness of the U.S. Coast Guard Reserve’ was reviewed by the Coast Guard for implementation. The homeland security courses at Monmouth greatly enhanced my awareness of terrorist, cyber, and other multifaceted threats and vulnerabilities. 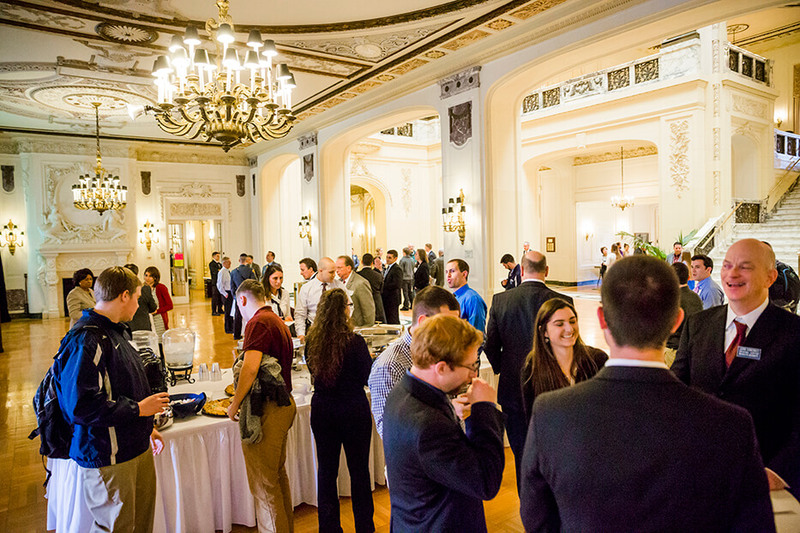 The annual Networking Event brings representatives from more than 40 agencies in the fields of Criminal Justice and Homeland Security, including the FBI, DEA, New Jersey State Police, and Monmouth County Sheriff’s Office, among many others. 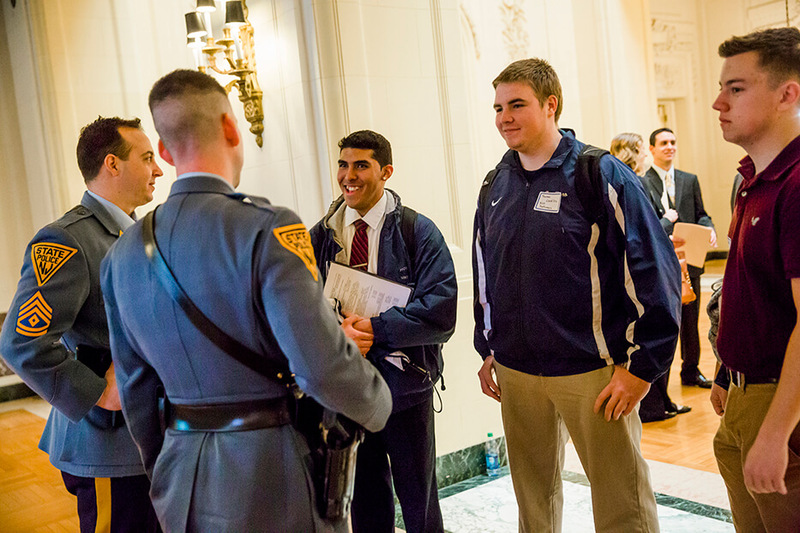 Criminal Justice and Homeland Security students attend the annual Networking Event in Wilson Hall every March.